Are you standing out and dominating online? These days, nearly everyone turns online when searching for products and services – even when they’re looking to find those products and services right in their community. That is exactly why local search has become one of the most important aspects of small business marketing. Don’t want to miss out? It’s important to stay on top of your online presence so that your customers are seeing the very best of your business. There are several practices that local businesses must implement to compete online against corporate businesses with lots of advertising dollars, and we are here to show you just what to do. The Duct Tape Marketing Jumpstart Program is designed to quickly get your business more exposure, more traction and ultimately more leads. You will be equipped with the resources and tools to teach you and your entire staff how to be better marketers. We believe that marketing starts with getting a customer to know, like and trust you – and that’s what this jumpstart will do. It’s not meant to be a full-blown marketing plan and set of tactics; it’s what you need right now to get the essential elements rolling until you’re ready to tackle even more advanced strategies and tactics. 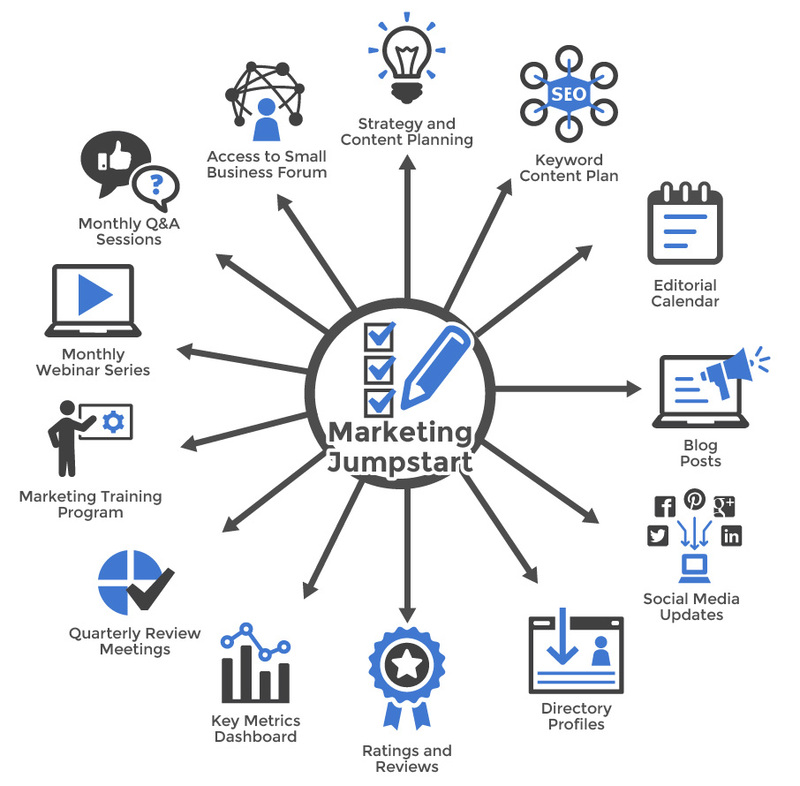 To get started in the Marketing Jumpstart Program, fill out an application today! The application doesn’t bind you into the program, but allows us to assess your needs and ensure that the jumpstart is a good fit for your organization. Complete your application now to find out more!